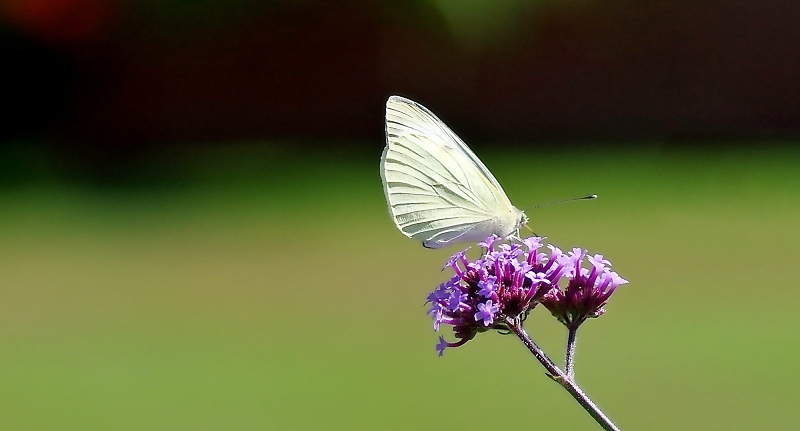 Can someone please tell me the name of the foodplant this large white is enjoying? The quality is below standard but the subject is most unusual. 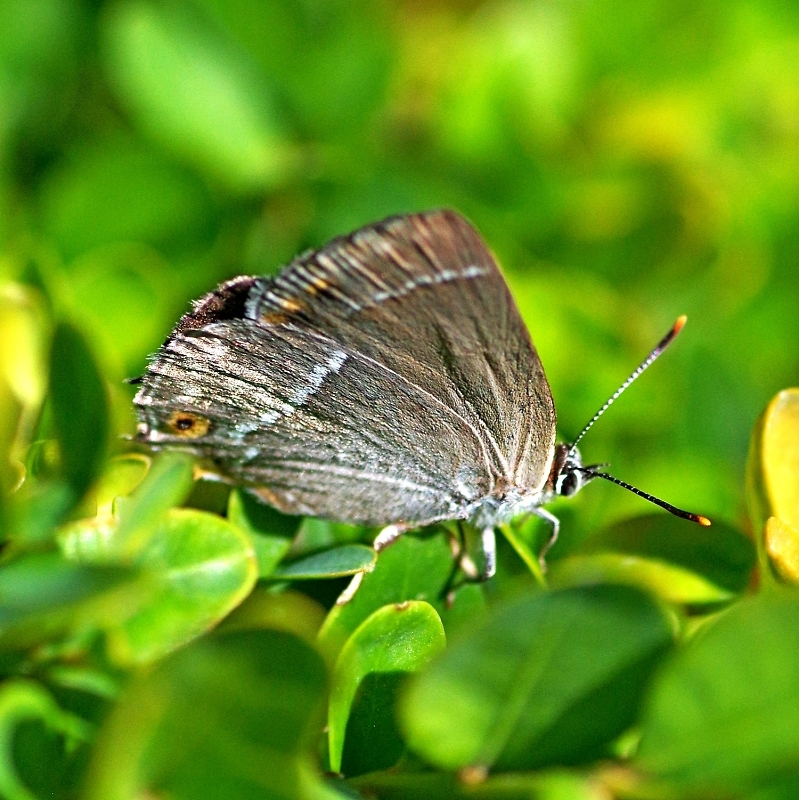 Purple hairstreaks spend most of their time in the canopies of oak trees. 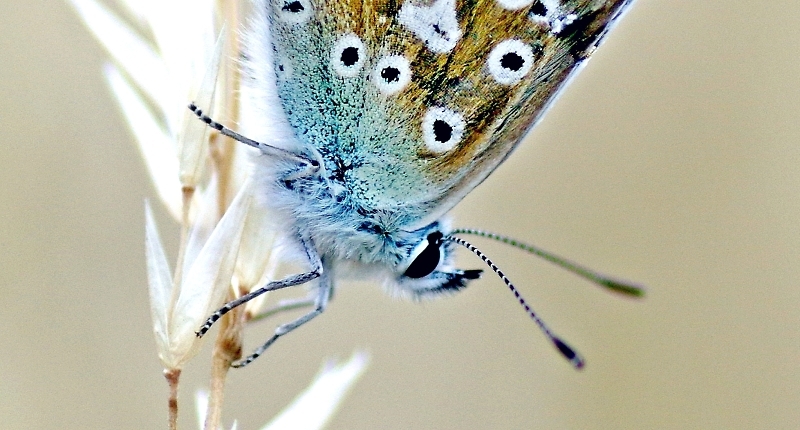 Catching one at ground level is a rarity - and this one's objective was to get inside a box hedge! 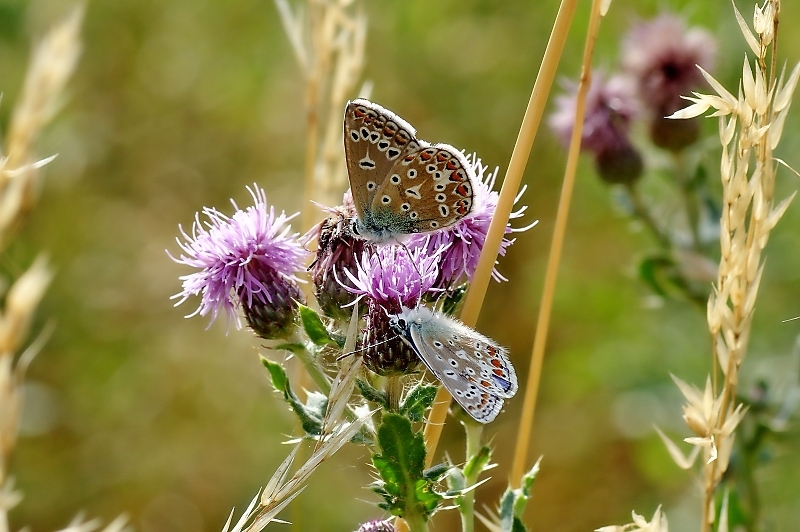 The dry weather has desiccated almost everything in sight except in peoples' gardens leaving thistles as the only source of nectar. 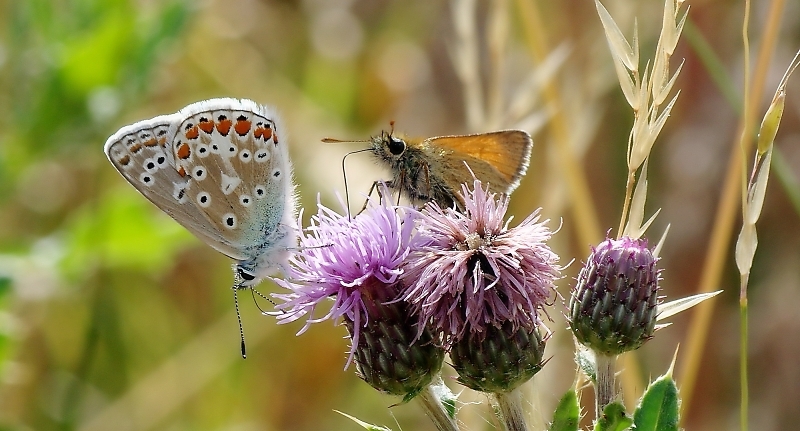 This common blue male gets the 'shove over' from a small skipper who is equally hungry. Fill up while you can. 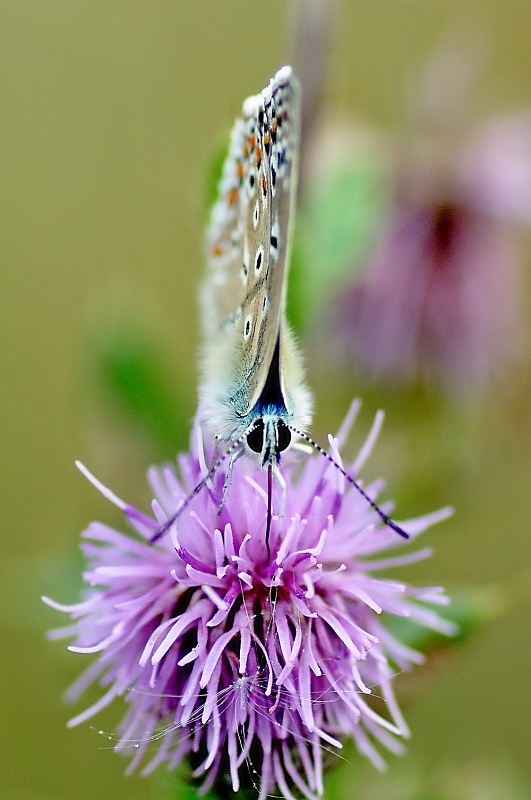 Even the thistles will be gone soon. Wow! Simply beautiful. Really attractive! Lovely pictures, the last one in particular is a stunner. Very nice set of well taken images with very interesting observations. The dry hot weather has not helped the larger species as you commented in one of my posts last week. Of particular note for me is the very “tatty buddleia“ usually very abundant and blooming in late summer that should be coming into peak condition in August . In my area it is actually dying back and with it the chance to capture the bigger more colourful species on camera that would normally populate it. Maybe some much needed rain might revive some of these “ butterfly attracting plants” before the summer is passed. I am finding butterfly activity is a little better in the warm shady areas along the canals but still depleted of red admirals , peacocks commas and what were such abundant species but have increasingly seen marsh fritillaries, painted ladies and comas in woodland and open fields over here in west Wales. I am hoping to get a lens on them through August, but hoping is the operative word. In the meantime I really appreciated your post and look forward to seeing how your butterfly exploits go through the late summer too.